An old, discolored crown, dated Adams’ smile. 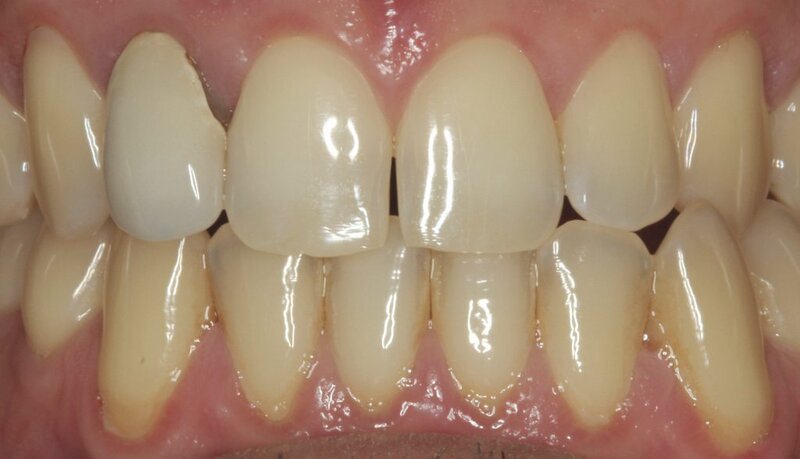 He wanted a whiter brighter smile for his work in front of the camera and with clients. 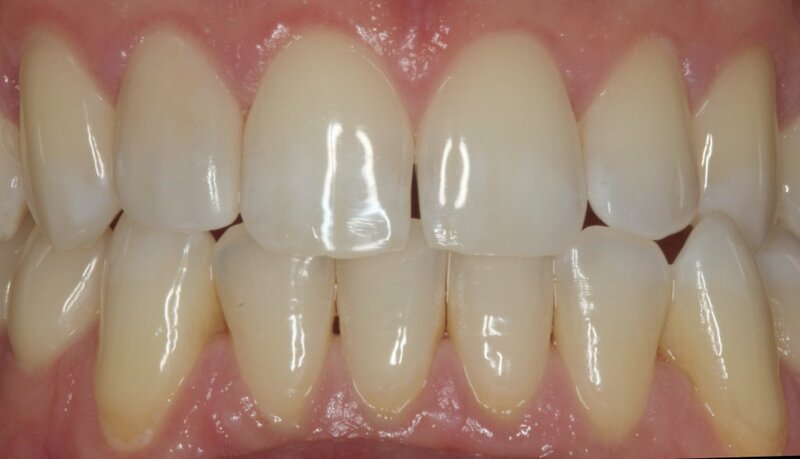 Adams teeth were bleached and a new all porcelain EMAX crown was matched to his existing dentition to give his smile aesthetic harmony.